Cynthia Stevens of Help-U-Sell Central Properties in Chandler, Ariz.
Cynthia Stevens has weathered her local market’s ups and downs and secured fourth place in seller-side closings in the Winter Warm-Up Contest. Her office, Help-U-Sell Central Properties in Chandler, Ariz., is growing, partially due to the market for distressed properties. 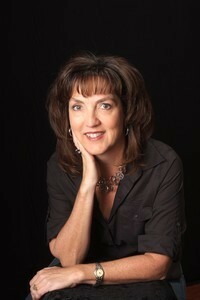 Stevens says she enjoys helping people with their real estate transactions. In fact, the largest factor in her decision to purchase a Help-U-Sell office was the concept of consumer choice. “By allowing consumers to have a say in how they sell their home, they are more connected to the process,” she says. Central Properties’ goals for 2012 are to continue to work with Fannie Mae and also to try to obtain more short sale listings. Stevens would like to increase the office’s sales by 25 percent over 2011, when the office closed 42 sides. Previous Previous post: Winter Warm-Up Results Are In!